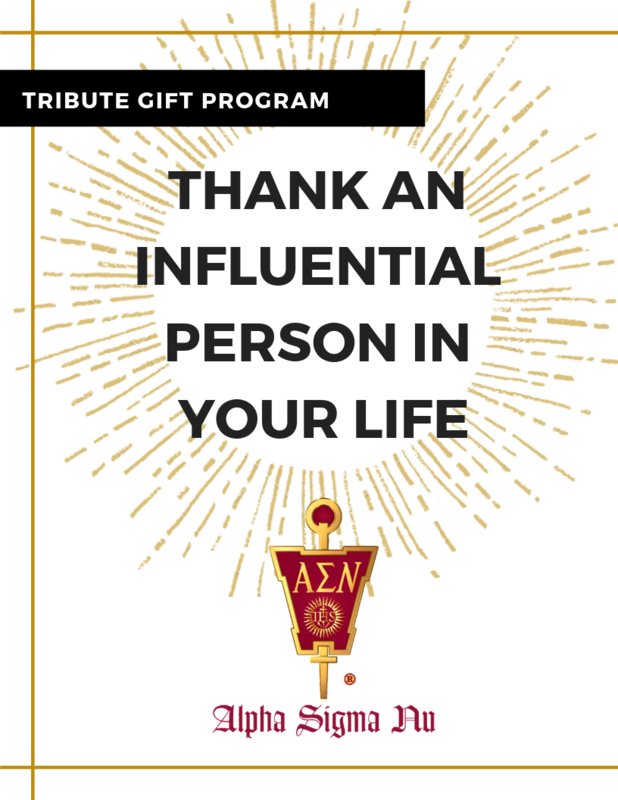 Alpha Sigma Nu's Tribute Gift Program allows you to honor a person in your life who has made a lasting impact on you. With your Tribute Gift, ASN will send your honoree a personalized card notifying them of the gift and sharing your personal message of thanks. Maybe you want to thank a Jesuit, mentor, or professor who inspired you during college. Or perhaps there is a colleague, family member or friend who has always supported you. A Tribute Gift is a wonderful way to show your gratitude. Your gift will carry on the positive impact of the honoree by supporting the Jesuit honor society's mission-focused chapter programming, leadership summits, alumni webinars and events, scholarships, and grant opportunities.